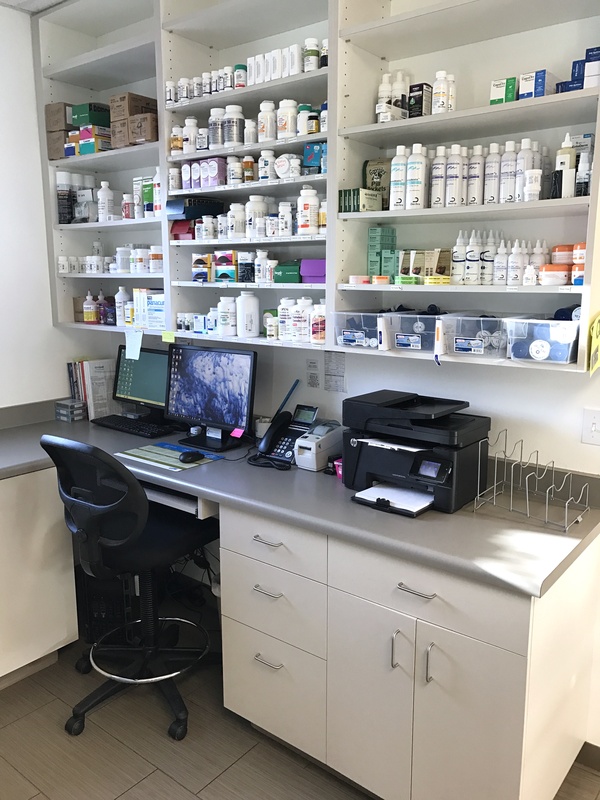 We have our own personal in-hospital pharmacy, where we can offer a variety of medications, including antibiotics, anti-inflammatories, flea and tick prevention, heartworm prevention, eye and ear medication, pain medication, and many more. For your convenience, we can send you home with a prescription as you check out following your appointment. For prescription refill requests, we ask that you provide us with 24 hour advanced notice in order for us to ensure your medication is ready when you arrive to pick it up. Refill requests can be made by calling Amici Pet Hospital at 619-795-2400 or by E-mail at info@amicipethospital.com. Many clients will send prescription refill requests through different online pharmacies. Amici Pet Hospital will fill these prescriptions but cannot guarantee the quality of the product or expiration dates. However, Amici works closely with VetSource, a provider of veterinary sponsored home delivery services. We are able to guarantee the quality of their products, because VetSource has earned the Veterinary-Verified Internet Pharmacy Practice Sites (Vet-VIPPS) certification from the National Association of Boards of Pharmacy. Additionally, VetSource offers competitive prices with other online pharmacies. Please click the link below to place your online order today.